Every body knows the vision Jung had about Europe covered in blood right before World War One started. Dreams seem to be connected with psychic powers. We all have been there: in total darkness. Lost and alone, looking for a new way of life. A new way of being. In those moments of darkness it seems like our psychic powers lighten up out path. Carl Jung began writing the Red Book on the verge of a nervous breakdown. Mindfunda looks at his search for the supreme meaning in five (easy) steps. Because this will be a long post I have divided it into five parts. By clicking on each part it will guide you to the step I am talking about. This blog will talk about the second step of my proces of reading the Red Book: psychic powers and dreams. In Jung’s eyes it was a relieve when world war one broke out. A confirmation that he was not schizophrenic, like he feared when the visions kept enduring. He reached across me and pushed the button to get the elevator down. A man died. His blood is being used to paint. There was something significant about his blood – like whomever he was in life was important. The idea is that the blood is his life force, and from his death, the act of painting is creating new life. I think I am the one painting / creating. I am standing before, and looking at, a large blank canvas. Christian was also struck by the Red Book and Jung’s dreams/visions with blood in them. Not only his precognitive dream of Europe covered in blood. But also such entries in the Red Book as the bloody head of a man (p. 147, reader’s edition); and a red stream of blood, thick red blood springs up (p. 148, reader’s edition). Also, In the deepest of the stream shines a red sun(p. 148, reader’s edition). Red people, Red Book, blood, red sun. It reminded Christian and the rest of the group about rubedo in alchemy. Again in this dream there is a need to be aware of the darkness before you can be transported to another dimension. The shadow that played a big part in Jung his theory is a reality in our dreams. Here again, the dream makes us aware that taking the “dark road” is essential for saving the King. There is also a reference to the story of Parzival and King Arthur. Jung’s felt that the Arthur story was THE myth of the Western World. An old wound by the heart on the left side can only be caused by love. And only be healed by the person caused the wound. Like the oracle told to Telephus wounded by Achilles. It is all about love. The wound by the heart on the left side, the feminine side of feeling, mothering, seduction, enchantment. But also the side of wrath and revenge, sorcery and delusion as Joseph Campbell explains in his “The masks of God”. I am in this otherworldly community- of very sweet loving and compassionate people. I have fallen in love with a young man and the unfolding of this love is witnessed by the community in the dream. At first there is shyness and vulnerability. A hesitancy-is this Love true? I can feel this fear coming from him and I’m also paying attention to my own feelings. There is a dizzying attraction here that only comes with new love-we are hugging and kissing -the energy is transferred to both if us and our community. There is a tender moment where I am truly clear about my feelings as we hold each other under the stars. I whisper to him “I love you” and tell him I want yo be with him and live here in the community. I mean it. And there is a moment of relief from him — a big smile and hug. It is true. Our love is real. This love is important and tied to the community. The Union will benefit the community and the community will benefit the Union. It is a sacred marriage. It was a Big Dream with the feelings still resonating hours after waking.I can’t help but feel connections to Anima/Animus and to Soul. Also the importance of clarity, Truth of feeling and intention. We all have been there: in total darkness. Lost and alone, looking for a new way of life. A new way of being. 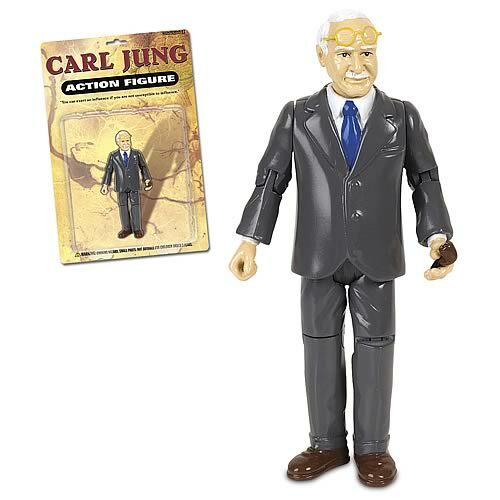 Carl Jung began writing the Red Book on the verge of a nervous breakdown. Mindfunda looks at his search for the supreme meaning in five (easy) steps. Because this will be a long post I have divided it into five seperate chapters. By clicking on each part it will guide you to the step I am talking about. This blog will talk about the first step: Carl Gustav Jung and what led up to writing the Red Book. The anima will be everywhere. The anima is the soul. Carl Jung his first concept of the soul was the female principle. The soul he thought he had lost when he gave so much (maybe too much) of himself to science. The first time ever I saw the Red Book at the Jungian institute, I wanted it. I did not actually crave to read it, I just wanted to have it. to open it up from time to time, read, try to read the caligraphy written in German, enjoy the art. Jodine Grundy, Licensed Professional Counselor and former president of the International Association of Dreams. Tim Schaming in training by Robert Moss who will make him realize that he already is a dream teacher. Maria Cernuto, producer / researcher / writer/ makeup artist (and an extra ordinary gifted dreamer, who contributes to the site Dreams Cloud. Linda Mastrangelo, Dream Worker, Researcher, Writer, Artist, and teacher . Christian Gerike, Graduate student at Sonoma State University, Psychology Department, graduating on animals and dreaming. Jenna Farr Ludwig, dreamer, blogger on synchronicity and author. But the anima will be everywhere. The anima is the soul. Carl Jung his first concept of the soul was the female principle. The soul he thought he had lost when he gave so much (maybe too much) of himself to science. Carl Jung (1875 -1961) was a psychiatrist living in Switzerland, married to one of the richest ladies of the country: Emma Rauschenbach. He was a charismatic man who was well liked by the ladies. One of those ladies, Tony Wolff, inspired the process described in the Red Book. She was Jung’s anima in the flesh. The Red Book describes the process of Jung in search of his soul. His first concept of the anima was the soul. Later on he fine-tuned this process, making the anima part of the man’s psyche. Jung decided to stay with, and accept these visions. They later became part of a method called Active imagination. Stepping back into a dream or a vision and reliving the dream. Asking questions. Feeling feelings. Many of us know about this part of the Red Book. Many of us see Jung as the shaman of the West because of this vision. Like a shaman he foresaw the horror facing many people. What do you think? Was it telepathy?